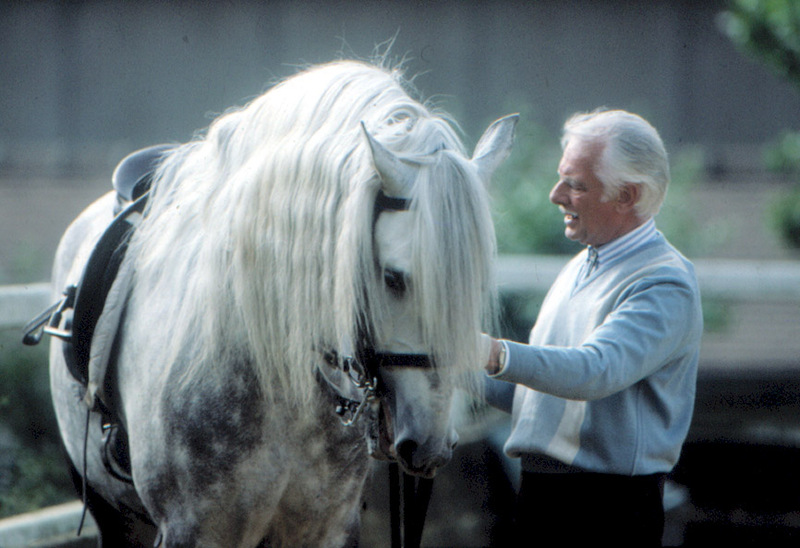 Sylvia’s book, The Royal Horse of Europe: The Story of the Andalusian and Lusitano, first published in 1986 and in 2002 republished by J. A. Allen & Co Ltd, testifies passionately to the value of a horse that has a lineage of not decades or centuries but thousands of years of careful breeding. Four to five thousand years of fine-tuning a horse for use in exploration and war has created the Andalusian and Lusitano horse we know today. From two thousand years before Christ, when Iberian tribes from North Africa invaded what is now known as the Iberian Penninsula (modern Spain and Portugal) and were followed by the Phoenicians and Celts, among them they were responsible for importing and trading horses from Mauretania, Libya, Egypt and Syria. Truthfully, it was all about war—war for thousands of years. Who had the best war horse won the wars. By the time of the first expeditions of the Greeks to this area, around 800 BC, the Celts and Iberians had allied, and continued to breed on the Penninsula the horse that continued to be recognized as the most brave and trustworthy war horse throughout the millennia—what historians calls the CeltIberian—the finest horse in the world. Today we no longer need horses for military, agriculture or transportation uses. Strangely, though, the qualities of a war horse are those that we value most in our performance and pleasure horses even now. Intelligence, devotion, sensitivity, generosity…why are these still so important to us in what has become essentially a companion animal? Most importantly for this discussion, how do we learn to appreciate this incredible ability to bond with a human—particularly with a human special to them—that the Iberian horse is bred to bring to the horse/human connection? “Most Iberian horses would like to be owned by one person. If you can handle that, if any one wants a one-to-one relationship with their horse, this is the horse. 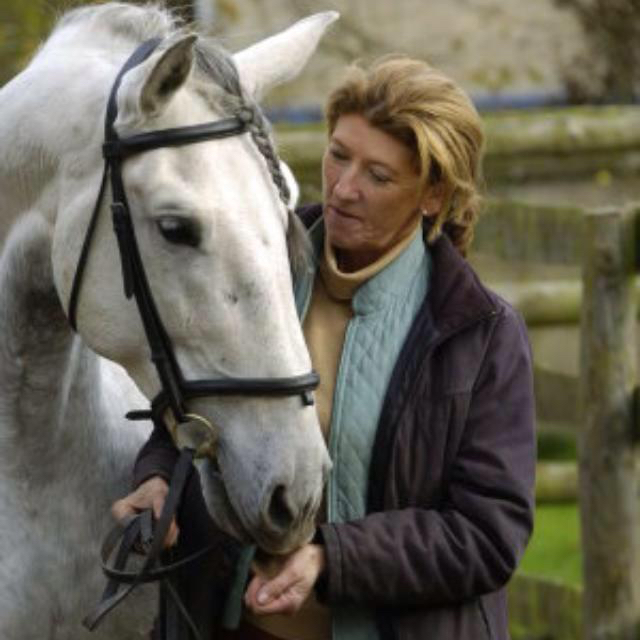 Lusitanos particularly become very passionate about their owners. They want to feel your attention; they’re very sensitive to your moods. They are willing to make an incredible intensity of eye contact, and they like it. They in fact insist upon it. Because of this I can tell by my horses’ eyes if they are happy or not at a glance. The potential of a deeply loving lifetime partnership between horse and human is exemplified by the legendary 11th century Spanish professional soldier El Cid (born Rodrigo Diaz), whose right-hand man in 30 years of exploits was his white Andalusian war horse, Babieca. El Cid was leader of the Reconquista, the movement that ended the 700 year occupation of the Iberian Peninsula by the Moors. So great was the stallion Babieca in the battlefield that when El Cid offered his beloved horse as a gift to the King of Spain, the King declined because he would not part them. The story goes that El Cid was mortally wounded at the siege of Valencia in 1099. Knowing that the news of his death would devastate his soldiers’ morale and give his enemy hope, his last order was after his death to have his fully-armored body secured to Babieca’s saddle, sword fixed upright in his hand. At midnight precisely Babieca led the silent knights, dressed in white and carrying white banners, toward the Moor encampment. At the sight of the white horse carrying his master in front of the silent ranks, the Moors turned and fled, thinking El Cid had risen from the dead. The Spanish pursued and routed the Moors, and the rest as they say is history. One can only imagine what Babieca was experiencing, as in a sense even in death he and his master were not parted. Of course the drama of the medieval battlefield seems far away to most of us. Today, when does the Iberian horse get a chance to express these characteristics of devotion and love for which they have been bred for so long? 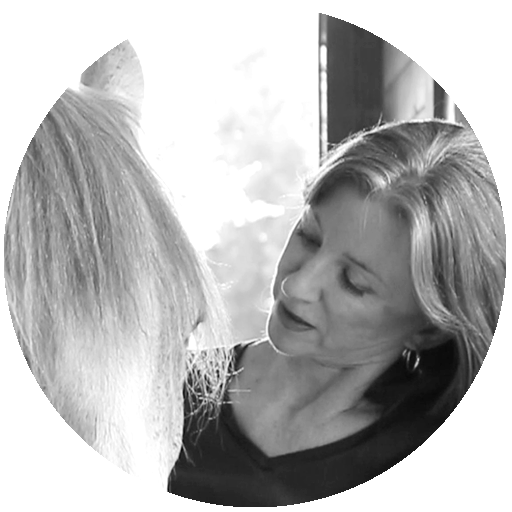 “Ultimately, we can’t just think we can ride these horses because we’ve ridden other horses for many years. Often we have to start again from scratch. Perhaps that is why they don’t suit every rider. Ego has to be thrown away and we must embrace humility. 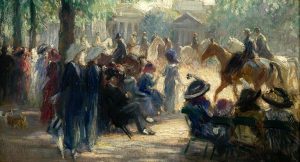 I wrote Classical Rider: Being at One with Your Horse (Trafalgar Square, 1997) with this philosophy of riding in mind. It can take a lifetime to work with and learn from the Iberian, but once we understand him, we will understand all horses,” Sylvia concludes. How can this be so?! 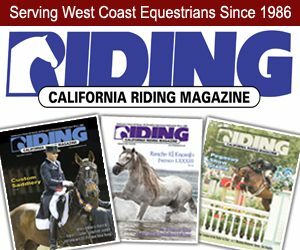 See http://www.sylvialoch.com and http://www.classicalriding.co.uk for more information on Sylvia and her many wonderful book and DVD products. Lovely article, Kip! I really feel more trusted by Oly, my PRE, than any other horse. He seems to like to just hang out with me. And his eyes are always on me, reading my body language. Such amazing horses! I can attest to the wonderful bond one can have with the Iberian breed. My horsey partner is a 4 year old PRE gelding. Our connection is truly magical. His beautiful black eyes follow my every step and he prefers to be with me rather than his herd. Any time he does something well he beams with pride and nickers at me.